When you start trading, one of the things you’ll want to decide on is what kind of strategy you’ll be using. Effort: How much effort are you prepared to put in? Are you a screen junkie or do you want minimal involvement? Risk: Are you prepared to accept bigger losses in return for potentially greater rewards? Personality: What kind of skillset do you have? Do you prefer to follow formula-like systems or are you better with more creative and intuitive thinking? Access: How will you access the markets? If you use a U.S. regulated broker there are limits on leverage and hedging. This can rule out certain strategies. Time: Are you patient or do you hope to see immediate results? Here’s a list of the most commonly used strategy-groups in forex. Of course there is a good deal of overlap and hybridization of these methods. 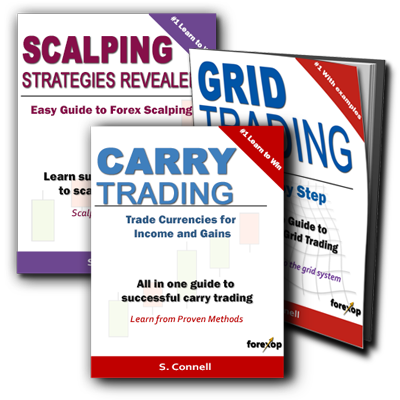 Scalping is a good strategy to start with – providing risk is managed properly. First it provides some excitement. With scalping you’re going in and out of the market little-and-often so it satisfies that itchy feeling of “wanting to do something”. Secondly capital at risk at any time is fairly low because scalpers will cut losses before a deep drawdown. Swing trading is somewhere between scalping and longer term strategies like technical trend trading. The swing trader aims to exploit deviations or “swings” from mean price. 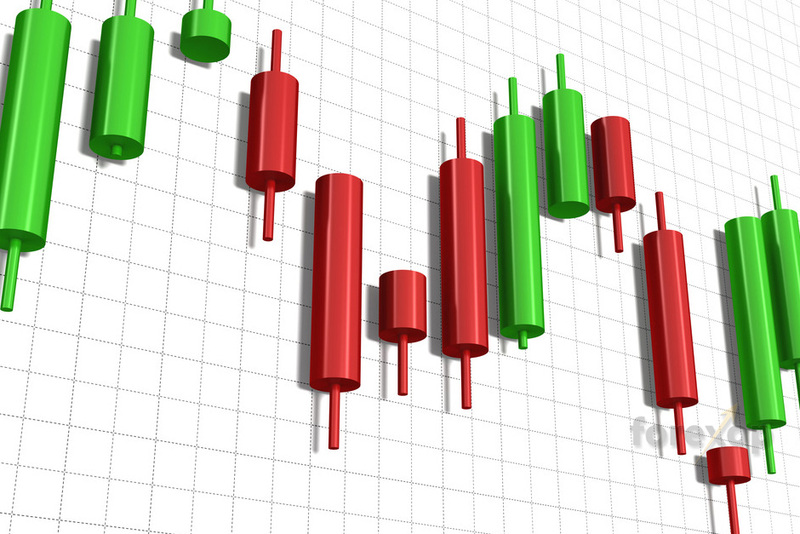 Swing traders use tools such as moving averages, oscillators and Elliott waves. Swing trading is not as high tempo as scalping but it’s still a short-termist strategy. Swings can be at any scale but are usually a few days to a week. 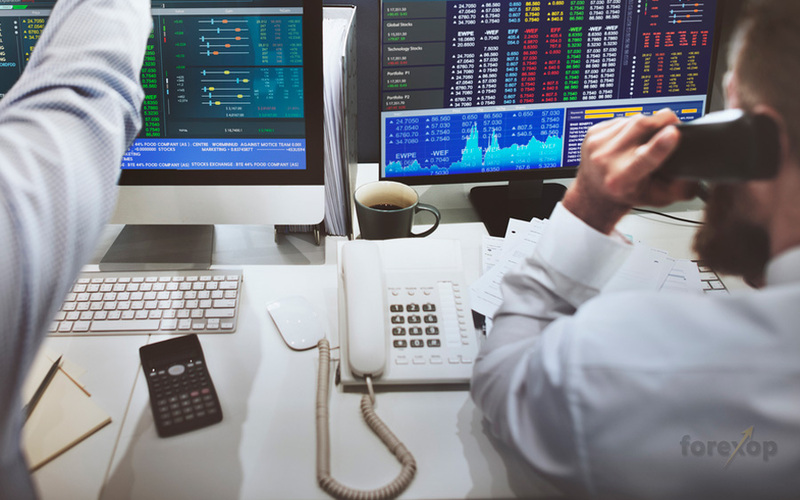 While many “formula trading” methodologies use aggregated price data, the candlestick trader looks at individual data points. That is, chart candles and sometimes groups of candles. Candlestick trading is thought to have started in Japanese commodity markets in the 1800’s. For that reason it’s sometimes called Japanese candlestick trading. Candlesticks are the main tool of the price action trader and naked trader. These methods are very much alike. Candlestick trading is visual and intuitive. Most candlestick traders do away with aggregative chart tools and simply look for patterns. That can also make it quite difficult to test and replicate. But if you like to trade by the “seat of your pants” this could be one to look at. Looking at candles means you see the price action as it is happening, rather than through the lens of an indicator – which has inherent latency. This can give you an edge over some mechanical systems. Many of these use the same inputs like moving averages which respond with some delay. The downside to this is that you can trade false signals. Candlestick traders will look for specific patterns. These are often reversal triggers. The most common are the patterns like doji, hammer, and shooting star as well as engulfing patterns. See this page for a complete list. With trend trading, the aim is to ride out a trend for as long as possible and so capture as much profit as possible. Of course this is not as easy as it sounds because picking where a trend starts and where it ends is always problematic and involves risk of loss. Trends appear at many different time scales so you can trade the trend on the five minute chart or on a four-hour chart. The longer term trend trader will take fundamentals into account whereas the shorter term trend trader will use a predominantly technical approach. Range trading is another staple technical strategy. The range trader analyses a chart to find “sticky areas” where ranges occur and where the price meets support or resistance due to its boundaries. The range trader will place appropriate buy and sell orders within the scope of the range with the assessment that the price is likely to repeat its past behavior and remain confined within the range. Think of breakout trading as the opposite number to range trading. Breakout traders look to charts to find places where they think the price will break out of a range. Breakout trading is risky because many breakouts don’t play out the way you expect. However the payoff from a powerful breakout can be huge – this compensates for the high number of false breaks. Obviously trends have to start and end somewhere. The reversal trader analyses a chart to predict these places. A trend can last for a long while but it can only have one start and one end. Identifying the exact point of trend reversal is usually harder than trading the trend itself. Even so there’s something about the challenge of making a precise call on the market that attracts many people to reversal strategies. There are many different tools with which to analyze a chart. With this comes the possibility that they won’t all agree at the same time. Divergence traders look for these discrepancies and trade on them. Divergence can also be between completely different markets – for example where a previously tight correlation between two markets breaks or goes into reverse. Strategies that look at the economic case to buy or sell are called fundamental. Well known in the case of forex is the carry trade. The goal of carry trading is to collect interest flows. This income comes as a result of holding different currencies which pay or receive different rates of interest. Interest rates on major currencies are quite low at the moment. But once you take leverage into consideration, the returns on well-timed carry trades can be very attractive indeed. It might not have the thrill of day trading, but if you’re in the game for profit, it would be amiss not to look at the carry trade. Studies over a range of different trading styles found carry trading to be one of the most successful over the longer term. Another favorite of fundamentalists is trading economic news. Timing is everything with news releases because the market moves very quickly to absorb new information. Not all news trading is fundamental though. The human trader is now competing with many automated systems that process digital news reports in milliseconds. The software interprets basic economic figures and basically just classifies it as good or bad (buy or sell). If you have some economic understanding and have a flair for perusing news reports, you could have an edge. This could be to trade exaggerated movements. For example where the market has overshot or undershot. Or where the market reacts to the headline figure but the report detail paints a different picture. You can’t make money if you’re doing what everyone else is doing. So goes the saying of the contrarian. The only way to beat the crowd consistently is to think and act differently to the crowd. That means to be ahead at either the trade entry or trade exit. Thus timing is everything. This isn’t to say you can’t profit by getting into a good trend after it’s already started. You can, so long as you get out before the crowd does. Being a contrarian means thinking a different way. It means pre-empting what the “average trader” is doing and thinking – and then often doing the opposite. There are some classic examples of contrarian strategies; dogs of the Dow being one of the most famous. Once widely known, the contrarian edge is lost and so is the effectiveness. Remember, there’s no such thing as a losing strategy. If there were, then why not just trade the reverse and it would be profitable? A bad strategy is one that’s no better than random. With any strategy, you’ll need to do at least a few months back testing and live testing to understand how it performs. It’s natural to become disillusioned with a strategy if it doesn’t seem to be paying-off immediately. But if you ditch every one whenever it’s in loss (as many do) this will guarantee failure. The market favors certain strategies at certain times. So what works one month may not work the next. For this reason it’s better to work on one strategy at a time, research it and learn the strengths and weaknesses. Finally don’t forget to factor for the differences between live accounts and demo accounts. Demo accounts come with near perfect trading conditions which can’t be achieved in practice.